This best-selling slanted foam bed wedge is ideal for head, foot or leg elevation. Use it at the head of the bed to help relieve the symptoms of acid reflux, respiratory problems or neck and shoulder pain. Or at the foot of the bed to help relieve knee, leg or back pain. Or just prop yourself up in bed while reading, watching TV or working on your tablet. It comes with a removable blue zippered cover that's machine washable. Bring a cozy look to a room with this ultra soft faux fur square accent pillow with a luxurious feel. The classic ribbed style on both sides in a chic blue colour, adds a touch of casual luxury to your favorite chair, sofa, bed, or entryway bench. The soft polyester material is machine washable, with a handy side zipper to easily remove the poly fill insert that is included. Just fluff it up and watch this cuddly throw pillow add instant warmth to your home decor. Add a modern and luxurious element to your dicor with this square accent pillow in a mosaic velvet finish. The rich dark blue colour on both sides gives a dramatic flair to a favorite chair, sofa, bed, or entryway bench. Made from a soft lustrous polyester fabric that is machine washable and the convenient side zipper allows for easy removal of the poly fill insert. This lush velvet throw pillow is the perfect finishing touch in a room! Upgrade your casual space with the addition of this versatile square accent pillow. The rich dark blue linen-like pattern on both sides brings style to a favorite chair, sofa, bed, or entryway bench. Made from durable polyester fabric that is machine washable and the convenient side zipper allows for easy removal of the poly fill insert. This classic linen-look throw pillow will brighten up any room dicor. 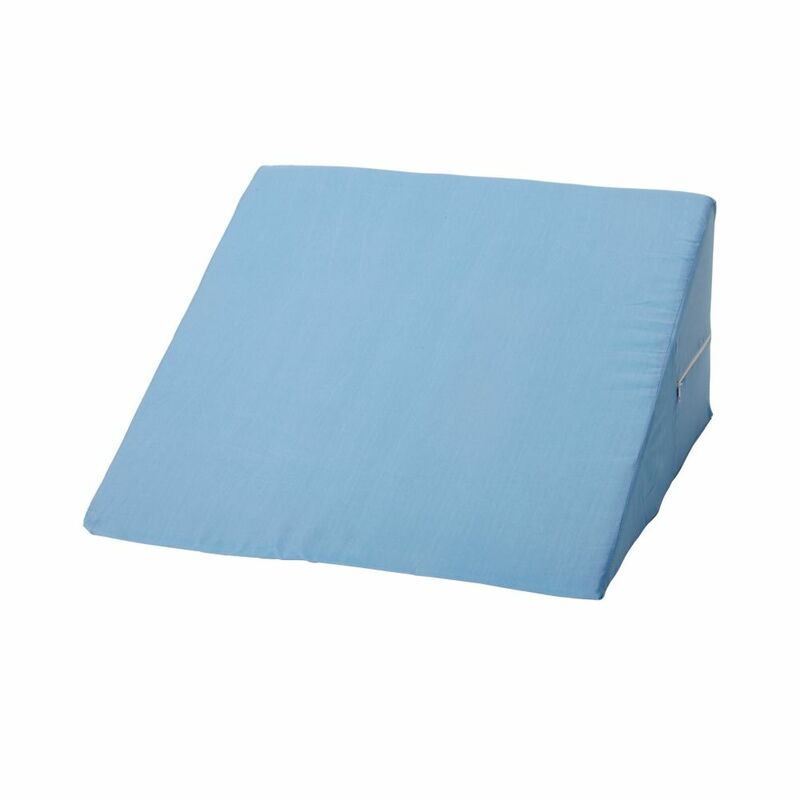 12 inch Foam Bed Wedge Pillow This best-selling slanted foam bed wedge is ideal for head, foot or leg elevation. Use it at the head of the bed to help relieve the symptoms of acid reflux, respiratory problems or neck and shoulder pain. Or at the foot of the bed to help relieve knee, leg or back pain. Or just prop yourself up in bed while reading, watching TV or working on your tablet. It comes with a removable blue zippered cover that's machine washable.